On behalf of Mayor Savage and my colleagues on Halifax Regional Council, I had the pleasure to give remarks at the Royal Nova Scotia Yacht Squadron’s (RNSYS) Official Olympic and Paralympic send-off. We recognized the athletes in Nova Scotia who have qualified and have been selected to compete in the 2016 games in Rio de Janeiro. This is an incredible achievement and is the result of intense training and competition. We also thanked the families of the competitors, coaches, staff, volunteers, and fans for supporting our Nova Scotia athletes as they make their Olympic dreams a reality. At this year’s Olympic Games, Nova Scotians will be competing in gymnastics, canoe/kayak, sailing, athletics, para-swimming and wheelchair basketball. 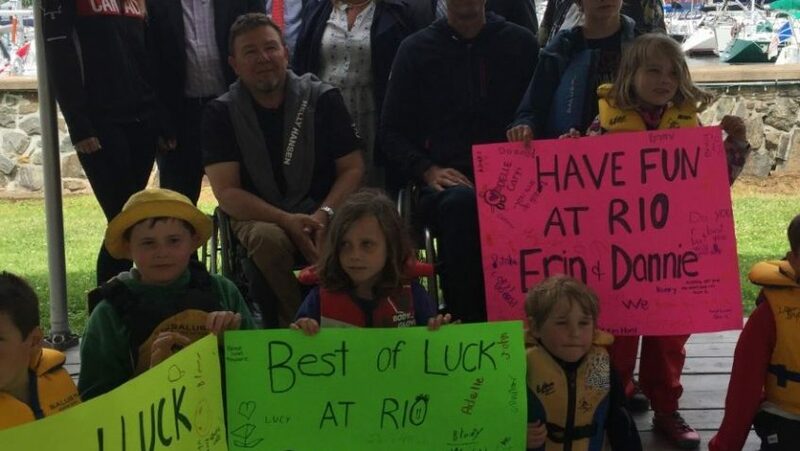 Our athletes and para-athletes instill a real sense of community pride in the city and across the province, and are an inspiration to aspiring athletes and residents young and old. With the opening ceremonies of the Olympics just under a month away, excitement is really starting to build, we are very proud of the impressive contingent of Nova Scotia athletes selected to represent Canada in Rio. No doubt we will be seeing many of them on the podium! It was fitting to have our ceremonies at the RNSYS as the province is sending a record number of sailors to Rio. There are four sailors for the Olympic Games and two sailors competing in the Paralympics. Halifax’s Paul Tingley, who trains at the RNSYS, will be competing in his fifth Paralympic Games. As usual he was very humble about his successes and provided great feedback and advice to the first time competitors. Thank you to the RNSYS for hosting this event and for their continued support for competitive sailing!